Exfoliating has always been my favorite skincare step. Whether I'm using a physical exfoliator (which is a grainy-textured substance I massage into my skin to manually remove surface debris) or a chemical exfoliator (which is a combination of safe-for-skin acids that chemically dissolve debris), I bask in the moment. There's just something about it that feels refreshing and freeing—almost like I'm setting my complexion back to its natural, fresh state. Especially if it's been a few days since I last reached for my First Aid Beauty Facial Radiance Pads ($30) or if I've been wearing a lot of makeup and my skin feels congested. When I swipe the cotton round soaked in lactic and glycolic acid over my skin, it's like I'm setting it back to square one in the best way possible. I know it makes my skin look and feel better—almost instantly—but I don't actually know why. Herein lies my confusion. Everyone says exfoliation is a key step in a well-rounded skincare routine since it sloughs off dead and dry skin. But what if you don't have dry skin? Dry skin isn't something I struggle with. In fact, my complexion is perpetually oily. So what else is my exfoliating habit doing that makes me love it so much? According to skincare experts, the answer is a lot. Aside from clearing away dry and dead skin, a regular exfoliation habit increases the skin's radiance, clarity, and youthfulness, and that's just the start. Firstly, when you're exfoliating your skin, you're effectively unclogging your pores. That's according to Lily Talakoub, MD, of McLean Dermatology and Skincare Center. Sweeping away that dead and dry skin, along with all the other surface debris that might remain on your skin after cleansing, stops it from making its way into your pores and causing stubborn stoppages in the form of whiteheads and blackheads. 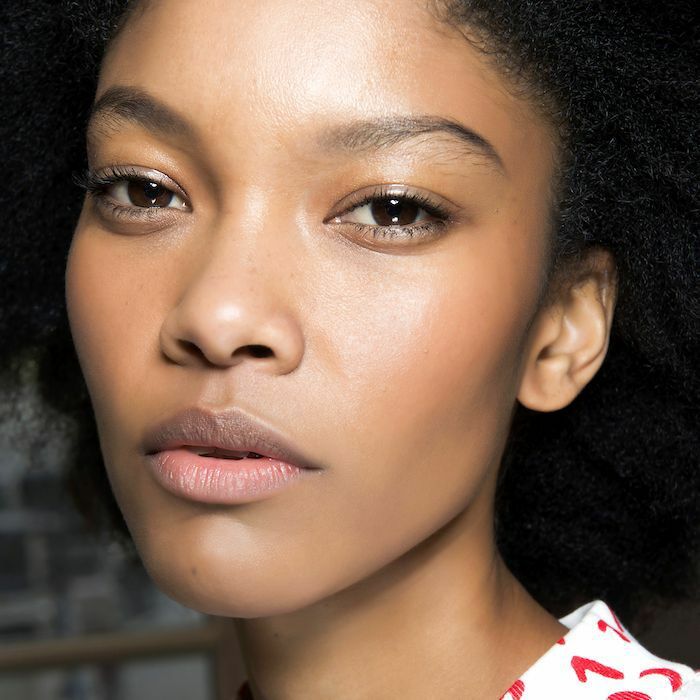 These are two skin issues that are insanely difficult to get rid of (people with blackheads know what's up), which is why exfoliating is so important. It stops them before they even have a chance to appear. "Dead skin seals the pores, so when sebaceous glands produce oil, it's 'stuck' under the dry skin. This causes breakouts because there is nowhere for the oil to go," explains celebrity esthetician and skin expert, Sonya Dakar. Just like how unclogging your pores prevents whiteheads and blackheads, it also prevents other blemishes—namely acne. "Exfoliating helps to unclog pores, therefore reducing acne," says Michelle Henry, MD, dermatologist and clinical instructor of Dermatology at Weill Cornell Medical College. She recommends using it to prevent breakouts, but only in a safe and nonirritating way. In other words, don't scrub your skin raw in the name of acne reduction. That will harm your skin and lead to a whole host of other problems. "A physical exfoliant (something that contains beads or small grains) can be used once or twice a week," she says. "A gentle chemical exfoliant may be used daily depending on its strength. Listen to your skin. If it is ever sensitive or red after exfoliating, reduce your frequency." Dakar recommends using her namesake two-step exfoliating product. "I use a combination of lactic acid, finely milled flax seeds, and hyaluronic acid to give skin both a physical and chemical exfoliation while hyaluronic acid plumps skin," she said. "It can be used as a quick polish, left on longer for a peel, and even an exfoliating mask." Use the active version three to five times a week. The regular formula can be used daily. Since pores are unclogged and the surface of the skin is smoothed and rid of any dead or dry skin, your other skincare products are able to penetrate more deeply. "Exfoliation helps serums, moisturizers, and growth factors penetrate deeper into the skin," Talakoub says. When something that's rich in nourishing ingredients penetrates deeper, it's able to work more effectively. That's why exfoliation should always be included in your skincare routine, so your expensive moisturizers and serums can work their magic. The last thing you want is for your brand-new, insanely expensive face serum to be hindered by dead skin and pore-clogging material. Take it from Dakar. "Dead skin basically becomes a barrier between your skin and serums. By removing it you allow everything to work much better." People with dark spots, rough texture, hyperpigmentation, and acne scars know how frustrating they can be to treat. I'm right there with you. I have a cluster of old acne scars lining my chin that took months of exfoliation and patience to remove. But they're gone, which is the only thing that matters, right? Exfoliants break down dry and dead skin while smoothing texture, which means the skin appears to look more uniform over time. As skincare expert Jocelyn Petroni told our colleagues over at Byrdie Australia, "Exfoliation has many benefits, including stimulation of lymphatic drainage for internal cleansing and stimulation of oxygen-rich blood to feed and nourish the skin's surface." The former is a form of skin detoxification, working to remove toxins and other unhealthy debris. The latter boosts cellular health to reveal glowy, radiant skin (that's why oxygen facials are so pervasive in spas and esthetician and dermatology offices around the globe). Aside from increased circulation, exfoliation also boosts the skin's radiance in another way. It "helps cell turnover so the skin looks more glowing," says Talakoub. This means that the skin keeps fresh, healthy cells at the surface, removing dead, dry, or dying ones. In terms of appearance, this results in that ultra-dewy and baby-faced complexion we all strive for. "For a daily routine, I recommend using something mild like the iS Clinical Pro-Heal Serum Advance+ ($148) in the morning and evening. It contains retinol, which increases cell turnover and helps the outer layers of the skin exfoliate." For stronger exfoliation, she turns to a scrub or a deeply exfoliating glycolic acid product. "Once a week, I recommend using something with a scrub texture or glycolic acid like the Cane + Austin 10% Glycolic Pad ($60) for the face and 20% for the body. Once a month, I like getting the Fire and Ice facial by iS Clinical that helps exfoliate the skin leaving you with a glow." Finally, regular exfoliation "helps to stimulate collagen synthesis to improve the skin's texture, integrity, and keep the skin looking plump, tight, and young," Henry says. In this way, exfoliating actually offers anti-aging benefits, which might be why so many people swear that it helps lessen the appearance of fine lines and wrinkles. 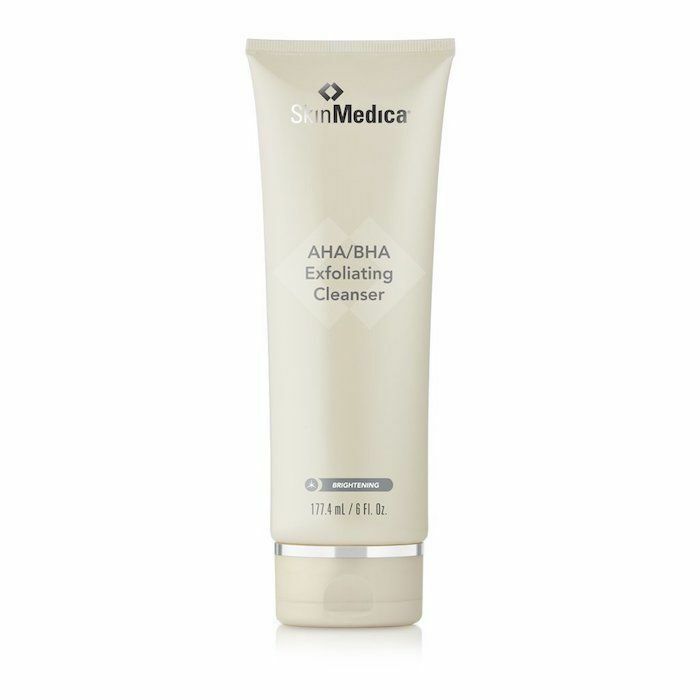 She recommends using SkinMedica's AHA/BHA Exfoliating Cleanser ($47) to reap all the exfoliation rewards. 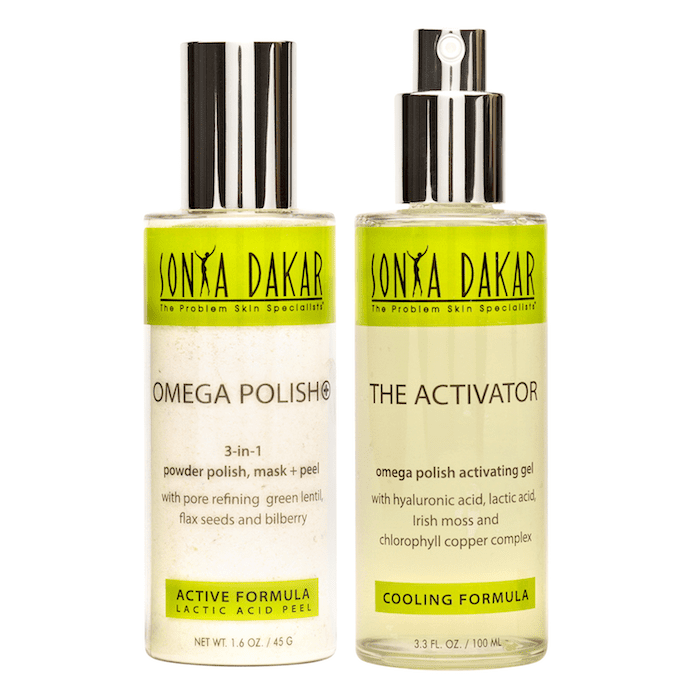 "It's an effective exfoliant but contains jojoba oil to minimize irritation," she says. As for how often you should be exfoliating, take Henry's advice and listen to your skin. Some people prefer chemical exfoliants over physical ones and vice versa, but it's up to your specific needs. Luckily, Dakar has some general guidelines. She recommends that people with rosacea exfoliate once a week. Normal skin can handle three to seven times a week with a gentle exfoliant, but cut that number back if you're using something more intense. For example, if you use a chemical exfoliant, aim for one to three times per week. If you use a physical exfoliant like a scrub, aim for three to four times per week. "Look for tiny finely milled grains such as flax seeds and rice," Dakar said. "They should not scratch and damage skin."